We may be legal, but we're still pirates at heart. This is a story of easy radio, fast waves and loose laws, or so we thought. Thrill to the innerworkings of the FCC and become enlightened. Glacier City Radio, "an experimental project of the Girdwood Community club," is a small radio station located in Girdwood, Alaska. Broadcasting news, music, and live local events, the station has been in operation since February 26, 1997 on 88.5 FM. The station's studio is a small 11 x 8 foot room on the fifth floor of Lewis Leonard's home. 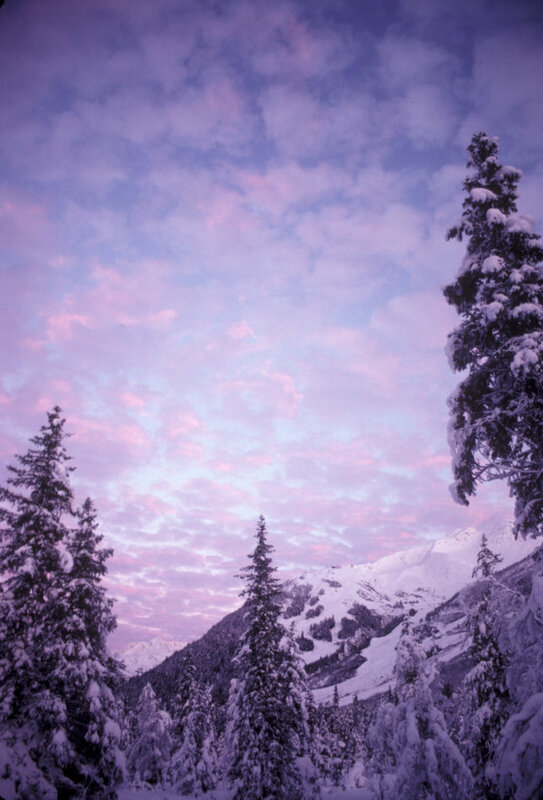 The view is spectacular, providing a 360 degree panorama of the Girdwood valley. Glacier City Radio broadcasts with a small transmitter purchased for $130 that hangs in an orange bag from the ceiling, and sports a 16 channel Peavey mixer, 200 disc CD changer, a tape player, and two mocrophones. The station also has its own phone line for on-air calls, and is capable of broadcasting live, on location. A 70 foot tower boosts the antenna to the tips of the trees, preventing the spruces from blocking the signal. 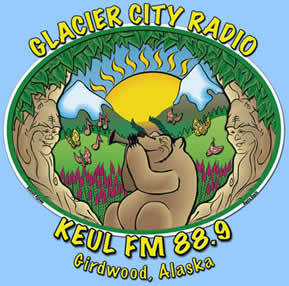 Like Anchorage's KSKA (which Lewis co-founded), Glacier City Radio is a member supported station. Without the many hours offered by volunteers, it wouldn't exist. Much of the equipment was purchased by Lewis, but much of it was donated or loaned to the station by various companies and individuals. All of the funding is from personal donations, but the station is looking into the posslibility of a grant of some sort. The goal is to purchase the loaned materials, and create enough revenue to maintain the station. Technically Glacier City Radio is a pirate station but that is not at all the reality of the situation. Glacier City Radio would like nothing more than to have legal rein over the airwaves. The man in charge of the whole thing is Lewis Leonard, president of the Girdwood Community Club. Just as important is Peter Zug, who looks after the station while Lewis is away. Steve Audett and Jay Bell are the two technicians and maintain the equipment, some of which belongs to them. The shows vary greatly, from Gabe Gibbs, a nine year old who plays Zappa, to Jill McCormick who plays her own Classical Piano Creations. THE COMMUNITY. The Turnagain Arm area of Alaska is 45 miles long, and one to four miles wide, with six communities, the state's largest ski resort, major summertime tourist attractions, and major wintertime recreation area, bringing thousands of visitiors to the area. It is bordered on both sides with mountains rising 3,000 to over 6,000 feet high. 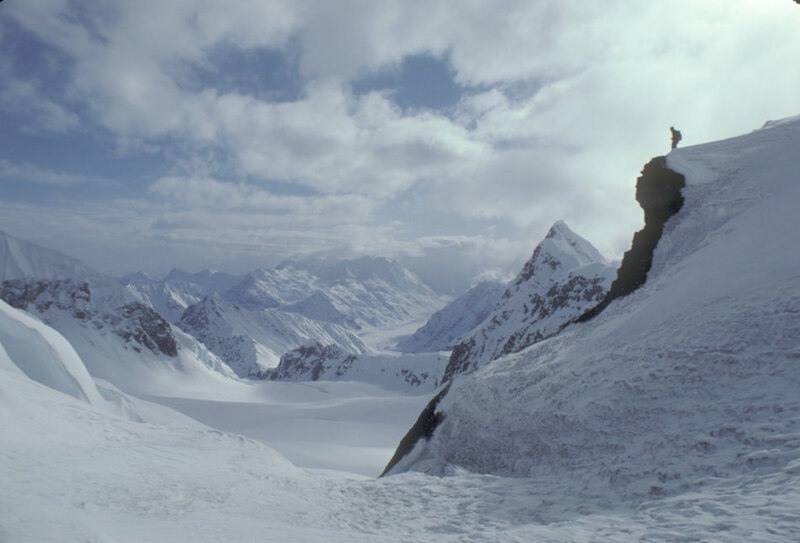 Although only 30 air miles from Anchorage, this terrain isolates Girdwood from metropolitan broadcast signals and other amenities, creating the need for a local broadcast station. THE AIRWAVES. Free-form, eclectic,free-speech and open mic, present a greater understanding of human relationships through open mindedness. These ideals represent the true spirit of Community Radio. Public access and dozens of local on-air personalities strengthen the sense of community, communication and interaction. PHILOSOPHY We use radio as an instrument of expanding peoples' awareness. Long-time residents are better able to understand the ever-accelerating rate of change, as well as newcomers understanding the heritage and culture of this area they have chosen to explore. We accomplish this by telling and letting others tell about the ongoing way of living in this area and elsewhere. We are a bridge and a channel to bring people together by giving them a sense of community. We provide information to help equip listeners for personal and community decision-making. Already, the more than two hundred people who have been DJs have demonstrated their respect for the equipment, the facility and the community, and have the respect of the community!